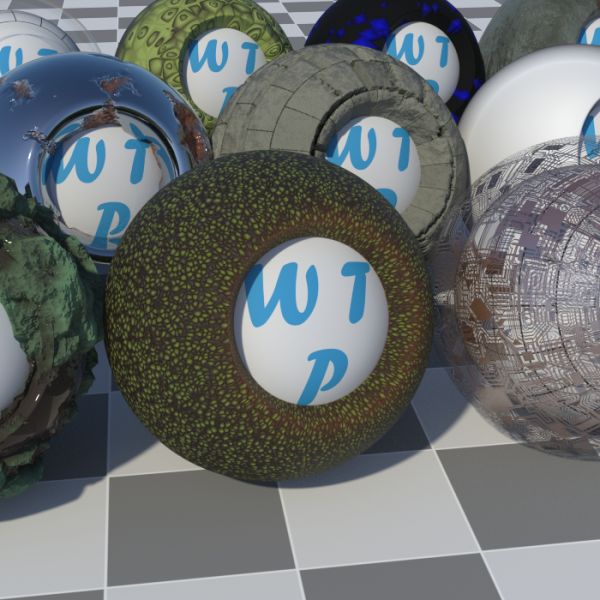 A variety of shaders that greatly expand the possibilities of Iray. Included are Perlin noise-based shaders, using randomly generated cloud patterns to create interesting texture of color, bump, and even random displacements. Also Worley noise, which creates complex patterns that can range from organic cells to angular designs. In addition, there are two Brick shader types, for creating stone blocks, bricks, checkers, and other patterns. Art style shaders allow ghostly phantasms and cartoon-style shading or outlining, as well as an in-engine posterizer. These shaders include the capabilities of many different packages that, even if they existed in online stores, would probably run you $100-200. You get to pay... nothing! emay68 (7 months ago) Inappropriate? Owensborogolfer (9 months ago) Inappropriate? Thanks so much these look great! bonj (1 year ago) Inappropriate? thanks, will try em out. Most welcome set. Thank you! jardine (2 years ago) Inappropriate? demiurgent (2 years ago) Inappropriate? Amazing, sir! Thank you for sharing this. MagicalMenehune (2 years ago) Inappropriate? Thank you for posting these shaders! These shaders look very interesting and I look forward to trying them out. Thanks again for posting these and the other sets! Opening this up for 'all use.' Include it in paid work, repackage and sell it, modify and sell it, whatever you want. Also, there will be no further development. Please post here if you use the shaders in some big stuff, I'd love to see what people do with them! ChrisKBS (2 years ago) Inappropriate? That's a great set of Iray Shaders! REALLY HUGE THANKS for free and EVEN royalty-free! I will specify each time I use your shaders where they come from so ANY PEOPLE can profit of your amazing work ! connatic (2 years ago) Inappropriate? These shaders are better than most commercial sets!!! Some are simple to use, others are complex and require a little bit of experimenting. Load the shader-ball and use the scientific method and learn what is possible. Keep going Will! drtwitch (2 years ago) Inappropriate? Thank you for these great shaders. they do work well, but are a bit tricky to figure out. flecked hard surface - missing "counter_B.jpg". Base Thin Film - missing "sculpture.dsf"
Leather - missing goldtassel/pirate/pirate hair/uv sets/goldtaddel/base/default.dsf. Brown Cotton - missing goldtassel/pirate/pirate hair/uv sets/goldtaddel/base/default.dsf. Fungal Skin Flat - missing "sculpture.dsf"
and many of the images when you hover over the shader in the content library seem to just show a long block of Chinese characters. Could be? I don't know, I don't have older versions or a mac to test on. Sorry! I am getting a lot of Daz3d crashing with these new shaders, especially the blocks and art groups. I am using Daz 4.8 on an older mac though, so that might be the issue. These look like they are going to be AMAZING! I can't wait to try them out! I'm not able to now because of having some work to do, but as soon as I can I'm going to play with them. I'm really looking forward to it! Thank you, Will!